It is important to have access to healthy snacks that will appeal to you. When you are trying to lose weight or get into shape, you need to have the right foods to eat. Sometimes people have a difficult time on diets because they do not have access to healthy snacks that will keep them going. You certainly are not going to be able to eat processed snack cakes or other sugary treats if you are trying your best to be good. One of the best solutions to this problem is actually to consider making dehydrated fruit. 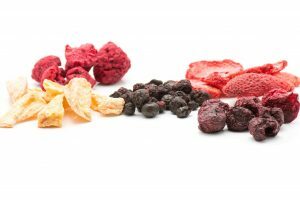 If you are not in the know, dehydrated fruit has the potential to be chewy, sweet, and delicious. It is also quite good for offering many fine nutritional benefits. 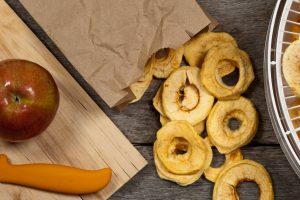 One of the most popular treats to make is dehydrated apples. Learning how to make dehydrated apples doesn’t have to be overly difficult either. 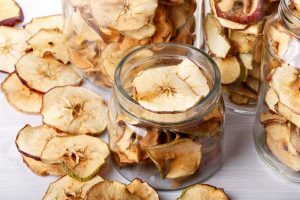 Knowing how to make dehydrated apples will certainly prove to be beneficial to you. The benefits of eating dehydrated apples are various. 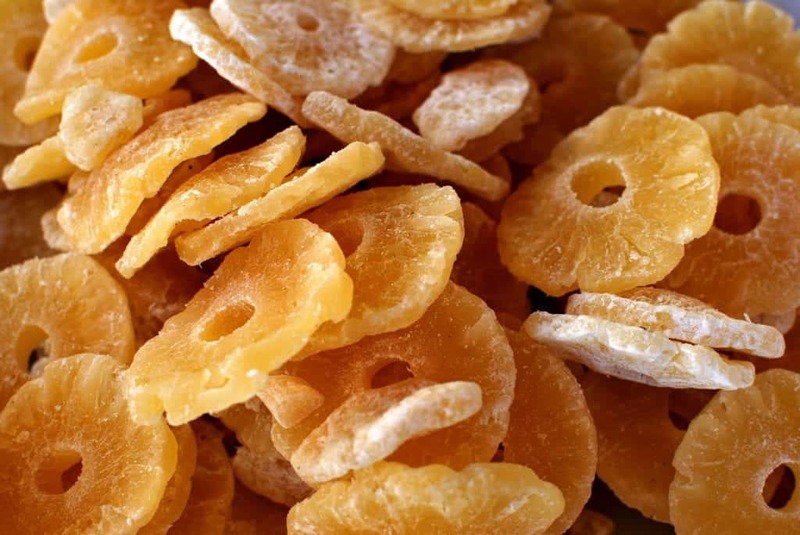 They provide you with a great source of fiber and are also just tasty snacks that you will enjoy. 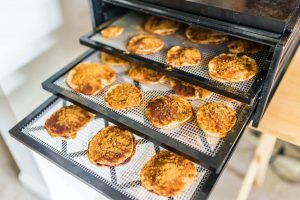 The process of dehydrating the apples is not going to be too tough and it will definitely become one of your favorite new snacks. The first big step of learning how to make dehydrated apples is slicing them up. You want to slice the apples properly. They need to be around one-third of an inch thick in order to get the proper results. If the apple slices are any thicker than one-half of an inch, then they are not going to dry out as well as they should. The next step of how to make dehydrated apples is dropping them into acidulated water. Do not worry if you don’t know what this means. 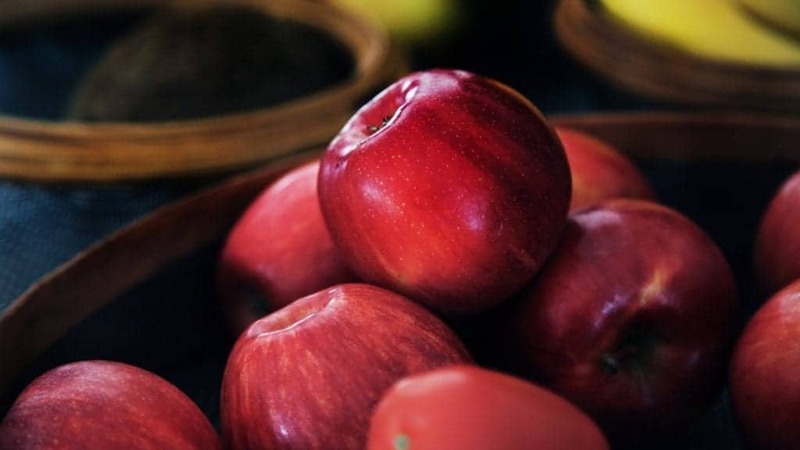 You just need to drop the apples into a pot of water that contains vinegar or lemon juice. Use one tablespoon of vinegar or lemon juice per every one quart of water. Next, you will need to drain the water completely and ensure that the apples are dry. 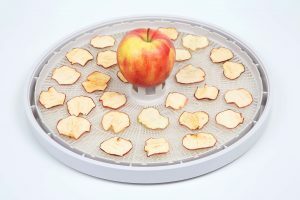 If you do not drain and dry the apples ahead of putting them in your food dehydrator, then you will not get the best results. Let them sit out on a rack for a little while after draining them. If you are in a hurry to proceed, then try drying them off with a clean dish towel before moving on. 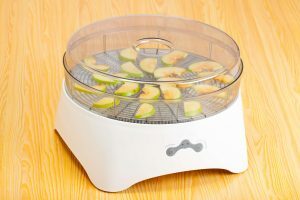 Once everything is set, you will be placing your apple slices on dehydrator trays. This is an important step for learning how to make dehydrated apples. 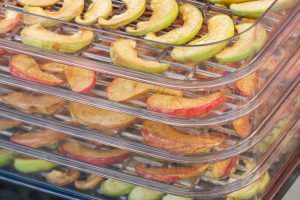 The easiest way to dehydrate the apples is to make use of a dehydrator but you can also use an oven set at a low temperature. 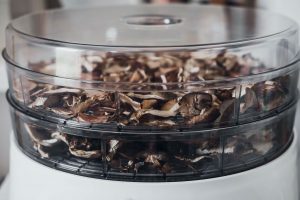 If you plan on doing this regularly, then buying a food dehydrator is highly recommended. If you are using an oven, set the temperature to warm and place the apple slices on a cookie sheet with parchment paper. If you are using a dehydrator, you should set it to 130 degrees Fahrenheit and then place the trays inside. The process should take around 12 hours but results may vary depending on the moisture levels of the apples that you are using. Either way, check on them from time to time to see how things are going. Once everything is done, you just need to let the apple slices cool. Once things are cooled down to a reasonable temperature, you will be able to store them. Storing your apple slices in airtight containers will be the best bet. 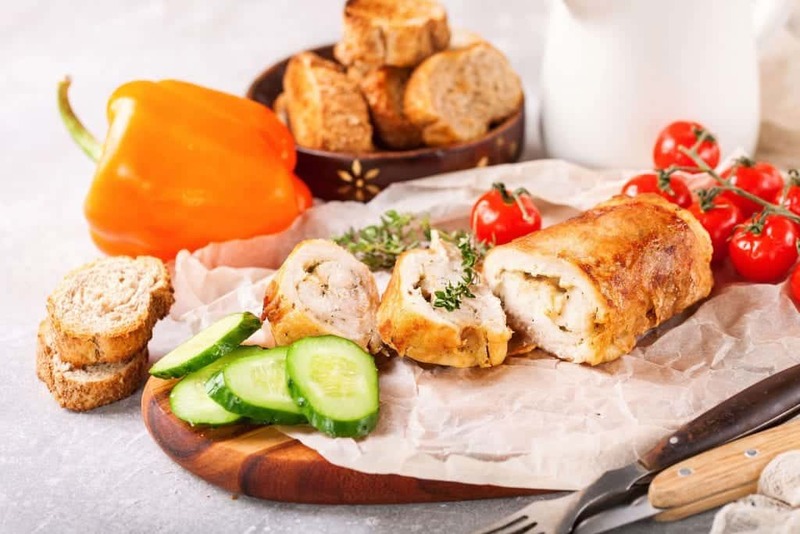 You will be able to enjoy your delicious snack and they will stay fresh for quite a long time. 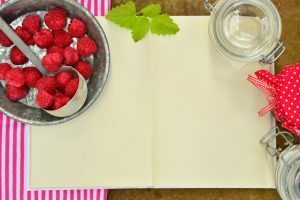 Want to try out some more delicious recipes with your dehydrator? Click here. Guiltless Pleasures: How Long Does it Take to Dehydrate Apples? 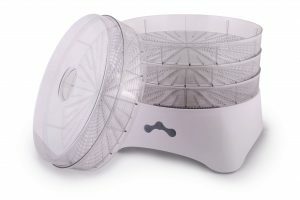 Ambiano Food Dehydrator Reviews: Is it Right for You?